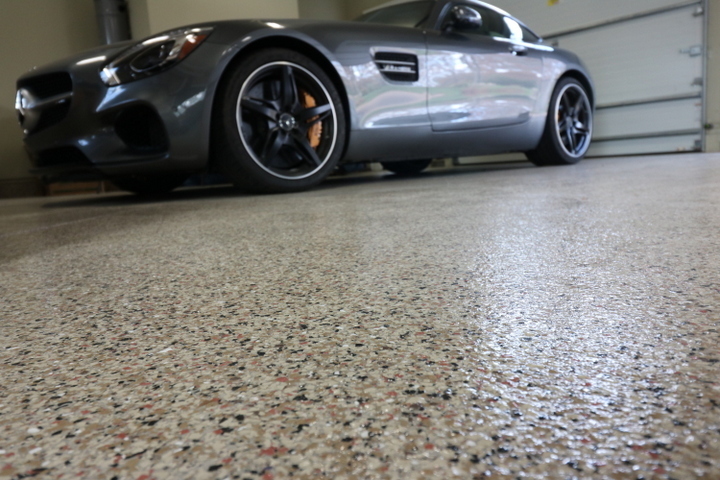 When it comes to choosing a decorative concrete coating for the garage floor in your Nashville home, it is imperative that you select a superior-quality product. Otherwise, the results will fall short of your expectations. In fact, using a subpar product could lead to a host of costly issues. However, it also is essential that you have the floors sealed with a top-of-the-line product, such as SunClear UltraProtect. Although some of the best coatings resist things like abrasions, stains, impacts, oil, water, and hot tire marks, you still want a sealer applied. That film serves as a second layer of protection, which will help your beautiful garage floor last a long time. The right sealer will also simplify the cleaning and maintenance process. Instead of going with just any sealer, follow the tips provided to ensure you end up with the best. • Colorless – Although a professional installer can add color to a quality sealer to correct slight fading of the concrete coating, stick with a clear product whenever possible. That way, the sealer will not alter the original color of the coating. A clear product will also add an incredible sheen that further enhances the appearance of the garage floor at your Nashville home. • Maximum Protection – As with the concrete coating you selected for your garage floor, sealers come in a broad range of protective levels. If your garage sees a lot of foot and vehicle traffic, or if you spend a great deal of time in the space working on projects, you want maximum protection. • Hard Yet Flexible – Something else to consider when choosing a sealant is that you want a product that is hard yet flexible. As a result, it can accommodate changes in the floor due to extreme temperatures but still offer excellent resistance to impacts, chemicals, and abrasions. • Formulated for Garage Floors – Before selecting the first concrete coating you see, make sure its formula is especially for garage floors. Even better, work with a reputable contractor or installer who uses quality products.